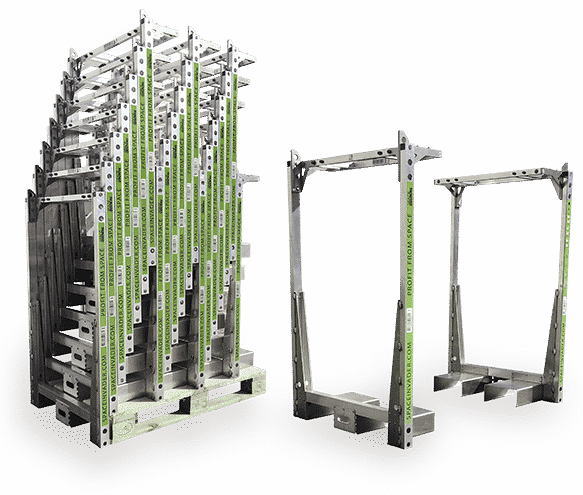 We have created the flexible transport system called SpaceInvader, a pallet rack that makes it possible to easily double stack shipping pallets. From the production floor through packaging to distribution. SpaceInvader lets you take advantage of the empty space found in many transports and is designed with the EUR-pallet standard in mind. The rack is made from lightweight aluminium, stands 125 centimetres tall, and weighs just under 10 kilograms. It is simple, ergonomic, stackable and safe to use. 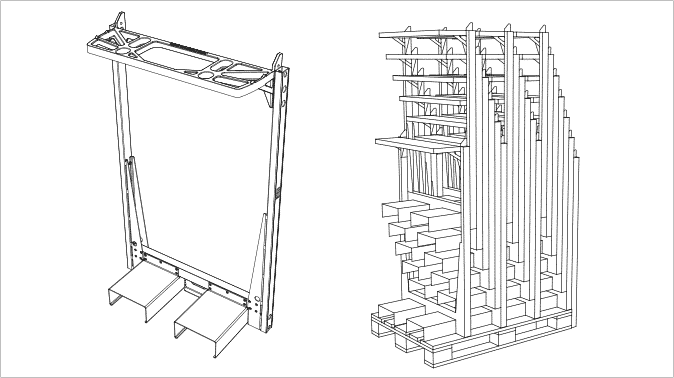 SpaceInvader works by pushing two racks into either side of the pallet, thereby using the pallet’s weight to stabilise the racks and creating a platform onto which another EUR-pallet can be placed. 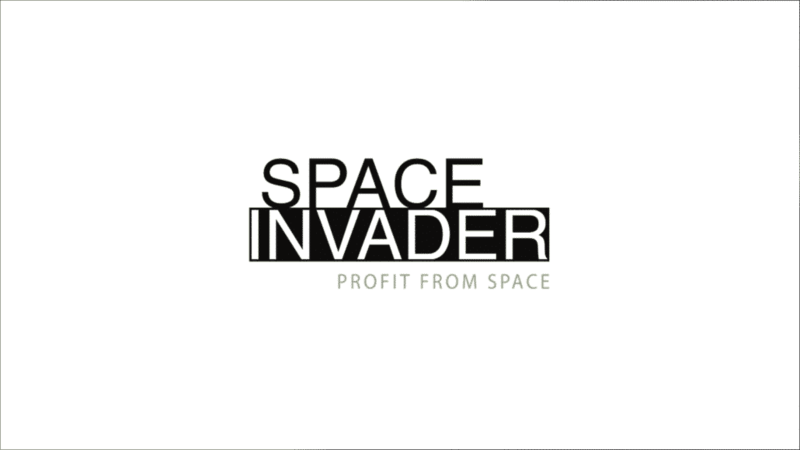 The transport system SpaceInvader is patented and certified by the Danish Institute of Technology. It is manufactured in Denmark. 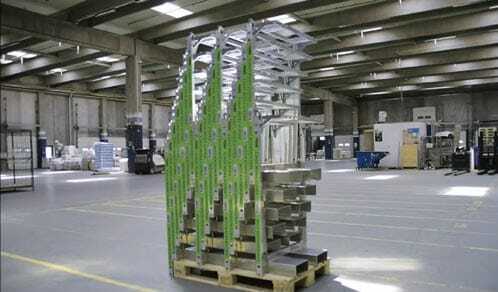 The pallet rack is easy to use and versatile and makes it easy to double stack pallets throughout your supply chain. SpaceInvader is designed to take up a minimum of space when not in use. You can stack 20 racks on a single EUR-pallet. 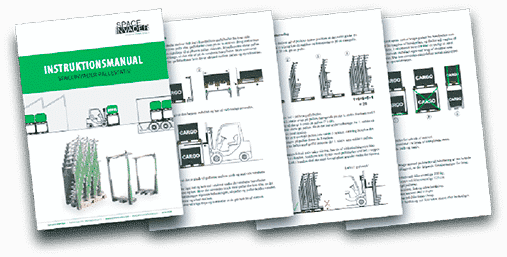 It is safe and easy to move, both in your warehouse and in the back of the truck. What do the drivers say?